If you’re new to email marketing, or taking it seriously for the first time, you have, no doubt, asked someone these very questions. As an entrepreneur, you know your time and resources are limited. So, you need to make sure that everything you do is done right. However, with the exception of a few copy elements, there is no standard for what should (or shouldn’t) be written in an email…or how that email should be written. Some sources claim that 100 words is the optimal length of an email. But marketing experts like Perry Marshall, or copywriter John Carlton will write 2-3 scrollable pages. And those guys obviously know what they’re doing, or they wouldn’t be gurus. Every copywriter will tell you that to write a good email, you should “know your prospect”. And that’s sound advice. But what if your business is new, or you haven’t spent a lot of time on your marketing? What if you haven’t really honed in on your target market yet? Does that mean you can’t write an effective email? The purpose of email marketing is to communicate with your prospects and customers when you can’t communicate with them in person. So why is it that business owners feel their emails need to be “professional”. And you can interpret “professional” to mean stodgy. If asked, you’d undoubtedly say that many of your clients come to you because they like you, because you had a great connection. If that’s true, then the personality that your clients came to know and trust should shine forth in your emails. Email marketing will always be a challenge if you’re trying to sound different than the person you are. And ironically, “professional” writing is always a turn-off to your reader. Be you and you’ll have a lot more success. 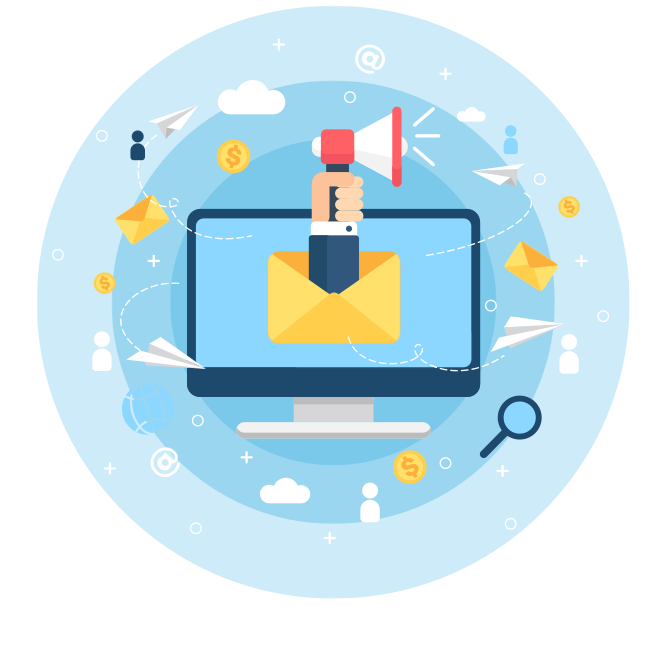 Too many business owners pour over their emails looking for the right word, or that one persuasive phrase, that will instantly convert into thousands of dollars of business. And then they’re disappointed when the email they worked so hard on produces less than exciting results. Think about email marketing as a vehicle. It’s a way to transition your customers and prospects from whatever they are currently doing to looking at your sales page your shopping cart or a registration page. 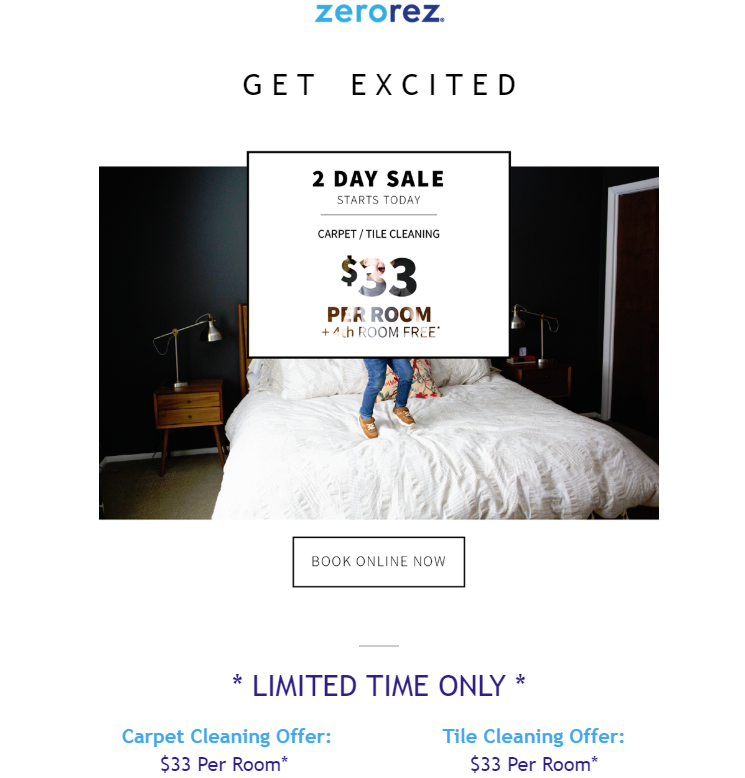 The sale doesn’t happen in the email. All that email needs to do is convince your contact to take the next step forward – to the landing page or cart, etc. And one, even perfectly written, email isn’t going to instantly convert prospects into customers. Selling involves a combination of factors including: offer, product, timing, target, trust, etc. Emails can definitely lead a prospect to buy. But the email itself is not going to do it. Make sure your expectations for what you’re trying to achieve are realistic. And don’t spend an hour writing a single email when a ten minute email will produce the same results. Magical emails don’t exist, so don’t waste time thinking you can write one. Always include a call to action in your emails, and then let the relationships you’re building be the catalyst for new sales and significant boosts in revenue. In the same way that “selling” is a process, email marketing is a process. The whole point of email marketing is to build the relationship. It takes time and it takes a whole lot of emails to build solid relationships with your contacts. That’s why, it’s okay to email when you don’t even have anything to say. “Hey, how are you?” with no agenda attached is a perfectly fine email to send. In fact, it might go a long way in helping build trust, because what you’re saying is “you were on my mind.” Nothing more. On the flip side, sending out a “bad” email is okay, too. People will forgive you. Sure, there will always be that one person who emails you back just to let you know you have a typo. But for the most part, people are forgiving. Did you forget to include the link…it will be okay. Did the person accidentally get 2 identical emails because you made an error in your Infusionsoft account? That’s okay too. One of the absolute best open rates for emails came from subject lines that included the word “oops”. Setting up your automated system, you carefully plan out email 1 and then email 2, followed by email 3…and so on. It’s all done with the idea that the relationship is building. And email 1 will lead to email 2, and it will all make sense. But it doesn’t. There is no way of predicting which of your emails each person will open and which they’ll ignore. Assume the best, but plan for the worst. If someone missed your last email, will the one you’re sending now make sense to them? If you have to slightly recap for your contact, do so. When you “lose” your contact by writing content they don’t understand, there’s a good chance you’ll lose them as a prospect or customer. You get the idea. Bake the details they missed out on right into another email. Then, if they didn’t open the first one, it doesn’t matter. One more thought, for the automation savvy – you cannot assume that someone opening your email means they read it. They may have skimmed it, or opened it and got distracted. Every email, though part of a bigger picture, should act as a stand alone. If you hate writing emails, your contacts are going to hate opening them. Whether you realize it or not, your feelings get conveyed in your word choice, the length of your sentences, how you sign off, etc. The best copywriting training in the world won’t make you a great communicator if you spend all your time second guessing whether to use “Regards” or “Have a Nice Day” as your sign off. When you can finally shed the notion that you’re doing something “wrong”, you can start to communicate more effectively. Your emails will feel lighter, become naturally more persuasive, and be more interesting to read. 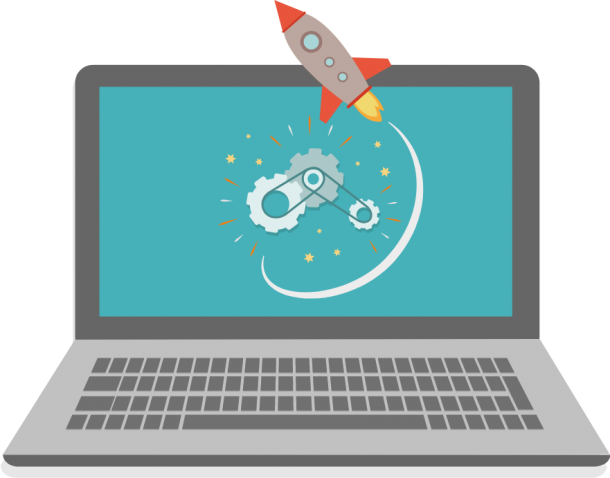 Segmenting your list, finding your target market, and improving your open and click rates, that will all come with time. For now, learn to value the communication that is at your disposal. Learn to love email marketing and the rest will follow. This might just be the most eclectic lists of ideas ever put together for email marketing. However, they are simple and effective. Once you master these skills, you’ll be your very own marketing guru – and without the added cost of hiring a team to do it for you! But don’t put too much pressure on yourself – have fun with it and convey your passion for your business in the emails you send. 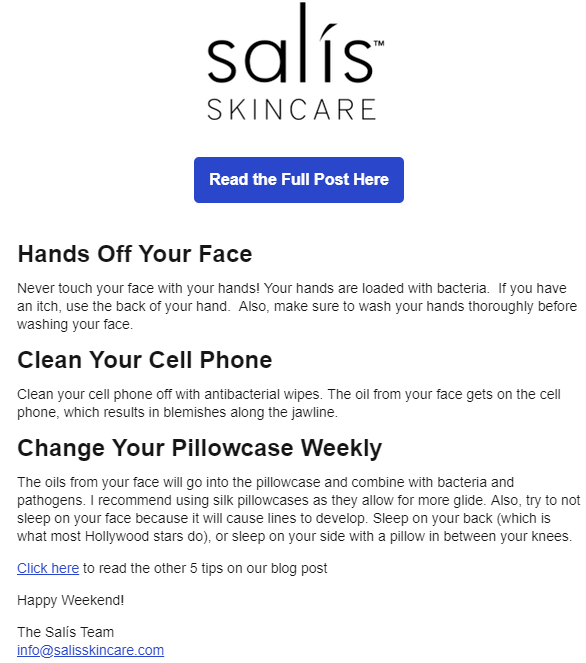 The goal is to take email marketing seriously, but not take yourself too seriously, which will help make a good connection with your contacts. You don’t have to be an expert marketer or great copywriter to use email marketing to your advantage. But, once you can appreciate the value email marketing will be to building your business, every email will be done right. And since you’re doing the writing, you can tailor it to help your business in a way that no one else can. The more you work at it and improve, the better you can build a relationship with your contacts and become that much closer – hopefully for years to come. If you find a niche that appeals to your customers, run with it! 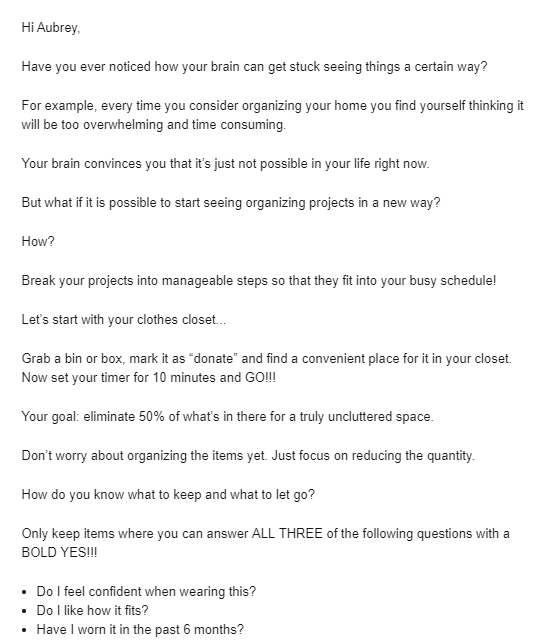 Now, stop overthinking the process, keep these ideas in mind, and go write some emails! Plot twist: some rules are made to be broken. 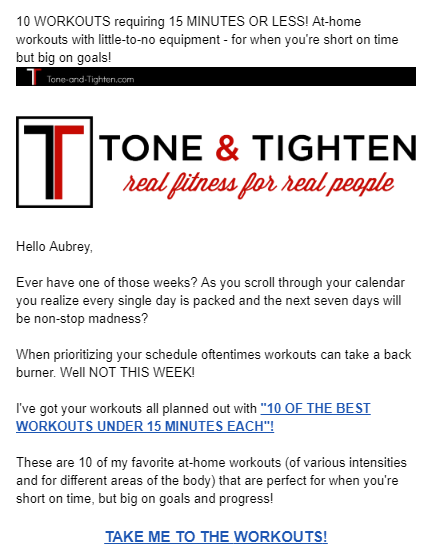 If you find a niche for emails that appeals to your customers, then run with it!